Tired of the same old Gin and Tonic? 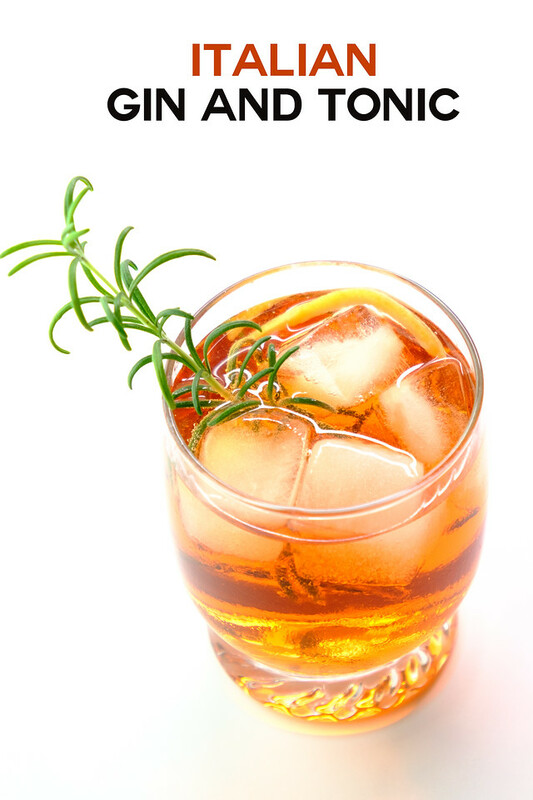 You’re going to love this Italian Gin and Tonic with vermouth and Campari! Click here to pin this Italian Gin and Tonic now! Gin and Tonics a Classic! Remember before the internet? When your knowledge of worldly events came from tv, your friends and books. That was it. In college, my whole knowledge of cocktails came from those sources. Most of my books didn’t mention them and my friends were all drinking beer. So, I turned to the black and white movies that I loved so much. It seemed like they ordered gin and tonics a lot. When the time came for me to order my very first cocktail, I ordered a gin and tonic. It was love at first sip. It was bright and refreshing and I loved the resiny flavor. It reminded me of Christmas trees and happy times. It was clear and sparkly and even more importantly it looked sophisticated. I mean when you order your very first cocktail, you want to look sophisticated, or at least back then you did. You know, the dark ages before the internet. Now your first cocktail can be shared to your million followers and can be an over the top pineapple concoction that you are drinking while wearing a next to nothing bikini. I was going for more of a The Thin Man movies type vibe. Since those early college days, the gin and tonic has remained my drink of choice. However, I am not above switching it up a bit, so when I saw this Italian Gin and Tonic from Alex Smith in Imbibe Magazine, I was all over it! With Campari and Vermouth this takes a Negroni-ish turn and I love it! It’s pretty to look at, makes a great fall cocktail and It’s delicious!! I found all kinds of interesting things around gin and tonics! Like this 6 Gin and Tonic Infusion Teabags – another way to flavor your gin and tonics! And, if you want to up your gin and tonic game even more try these Jack Rudy Cocktail Tonic Trio. We use the Jack Rudy Cocktail syrups along with our Sodastream and haven’t bought store bought tonic water in years! 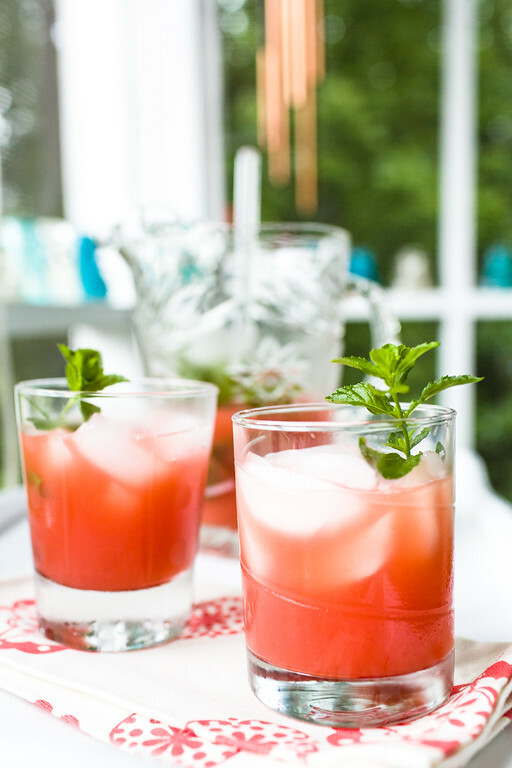 This Campari Cocktail with Ruby Grapefruit is so pretty and refreshing! 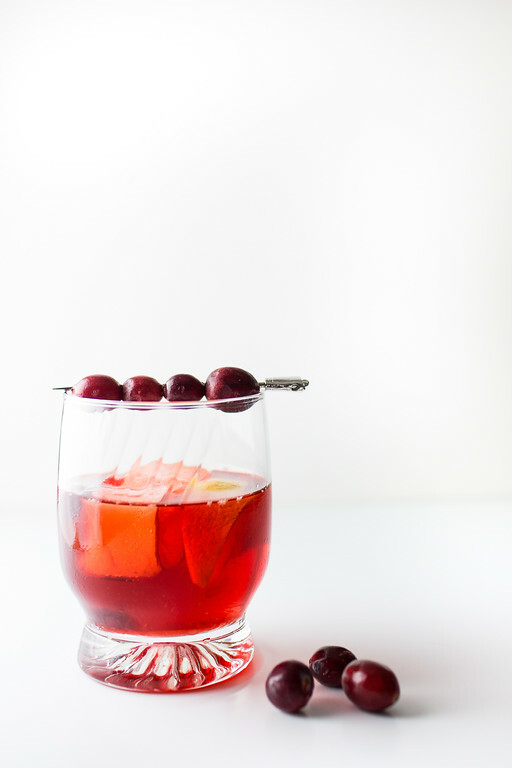 The Cranberry Negroni is perfect for around the holidays, but great all year round too! 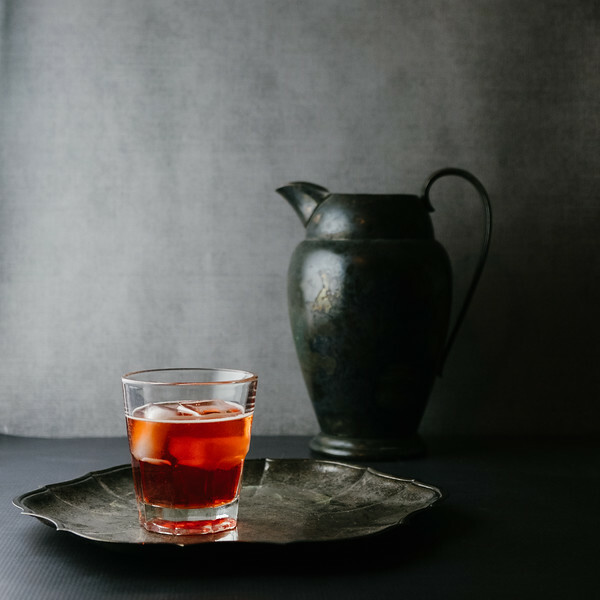 Don’t let the name – Negroni Sbagliato scare you, it’s just a negroni with a sparkling wine twist! Making it extra festive! Campari and Vermouth give a Negroni-ish flair to this Italian Gin and Tonic. Combine gin, Camapri and Vermouth in a high ball glass filled with ice. Top with chilled tonic water. Stir. 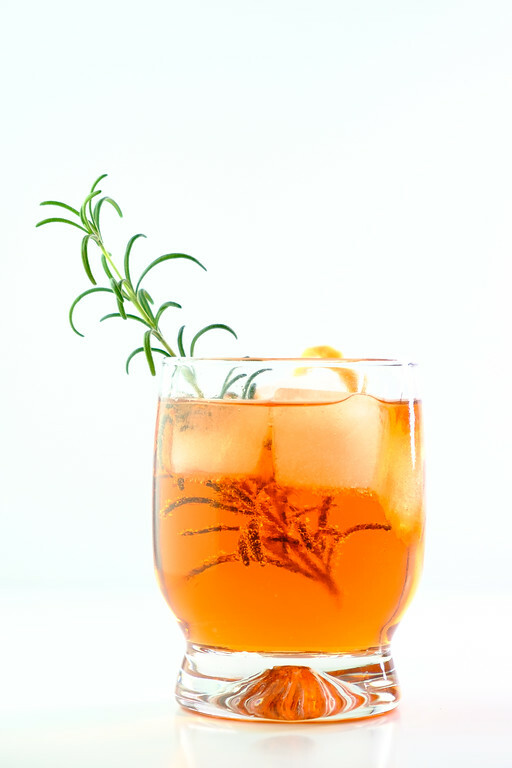 Garnish with an orange twist and rosemary swig. You make best drinks, I need to try this. I have dry gin and campari, not vermouth in hand. I will buy it and give it a try. Yeah, I agree . This makes for a perfect fall cocktail. Love the Italian twist. Yes, it would be great for Christmas! This would be so fun to serve at parties! It sounds amazing. And your photos are gorgeous! That’s how I’ve always described gin, as tasting of evergreens. We usual drink Aperol Spritz although some prefer a Campari spritz. I don’t normally drink hard stuff but I would gladly give the Campari and gin a go especially in the summer time. It is so yummy and refreshing! Ever since I saw your pictures on social media, I have been waiting to say this to you. The pictures are stunning and I just can’t take my eyes off them. We don’t drink, so I can’t comment much on the drink itself, but anyone who sees your click would be dying to try the recipe. thank you so much for such sweet words! That means a lot to me! The levels of flavour must be so good. I love the addition of peel and rosemary. What a pretty looking drink! Love the photos. My father was a big gin drinker. This cocktail really bring some sweet memories! A must try. This is very pretty. I love the rosemary garnish on it. Cheers to the weekend! This looks delicious! Such a yummy twist on a classic gin and tonic. Love that you added rosemary! Thanks you’ll have to let me know what you think! I will be the first to admit I do not like gin. I think it is one of those things your either love or hate. Something about the aroma that I don’t like. I would however swap it out for rum or vodka. Would that work? This is such a beautiful twist on gin and tonic, Pam! Perfect start to the weekend…cheers! Yea, I know nothing about cocktails, so I’m glad that I have people like you with tasty sounding recipes! I would be lost without it. You’ll have to give it a try! Have never been a gin fan but I don’t mind a Campari and soda with a twist of lime.